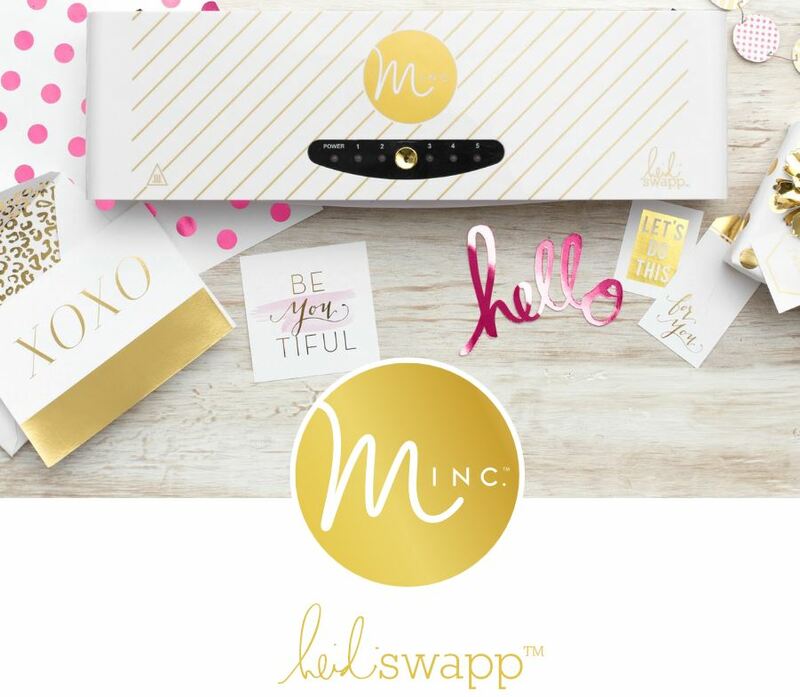 Update - the MINC system is here!! Technically we are now allowing for pre-orders, but we do have 20 MINC machines in stock (and I don't believe anybody else has machines yet). So first come, first serve. If you don't get one of the first 20 machines, we hope to be fulfilling orders in early March. Unfortunately, we have to wait until March for the foil and other accessories, but the good news is that you get a MINC foil applicator w/ starter kit, so you have a sampling of all the necessary components to make a craft with your new machine, while you await access to the new Heidi Swapp reactive foil, and MINC accessories. Foil fusion is the future of crafting! At CraftDirect.com, we always try to keep you on the cutting edge of craft technology. Well, today I’m here to tell you about the next best thing, how you can incorporate it into your projects, and most importantly, you can check back here about availability updates (it’s coming soon, but we can’t yet make guarantees about when). Heidi Swapp is a well-known name in the industry, and she has developed an incredible new foil fusion system. It is quite innovative and makes it easy to add a professional-looking element to your card-making projects. It’s called the Minc Foil Applicator, and as you’ve probably already guessed, it utilizes foil fusion as a medium for creating intricate and beautiful designs for scrapbook layouts, cards, decorations, and more. As mentioned, product is not yet available. We were supposed to have it by now, but there have been delays (no one has it, yet) in distribution. We could have it very soon or we may have to wait weeks and weeks. To stay up to date, check our blog and our Facebook page. What Is a MINC Foil Applicator? 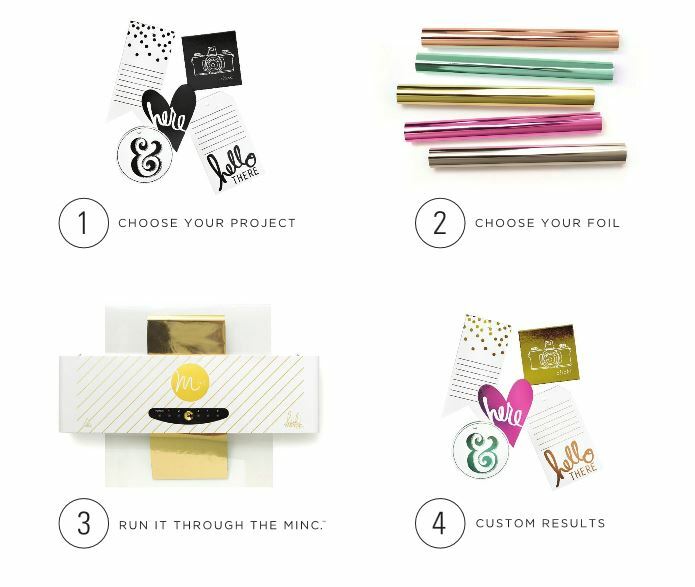 The MINC machine is a foil applicator that allows you to create elegant foil designs. When you embellish with foil, you can make die cut shapes, or you can press custom foil designs onto paper and cardstock through a process called foil fusion. The reactive foil adheres to toner, so any image that is made with your laser printer will bond with the foil when it is processed with your MINC machine. And that’s it. You’re all done and can enjoy your beautiful Minc foil creation. I’m sure you can find plenty of uses for this machine. I can’t wait to get my hands on one.